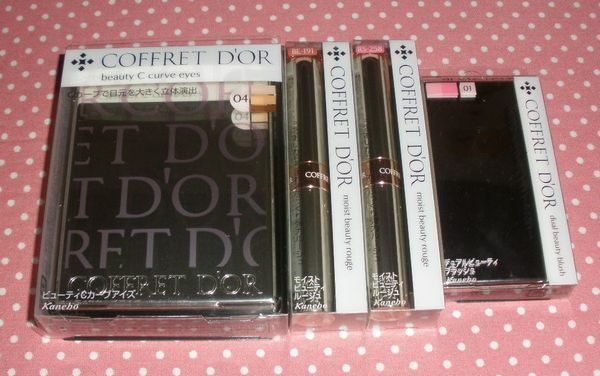 Coffret D´or released 2 summer collections: The first just consisted of some pastel eyeshadow singles, liquid gel liners (the black one is the only thing I picked up and will be reviewed soon), a dual mascara and some pastel nail colors. 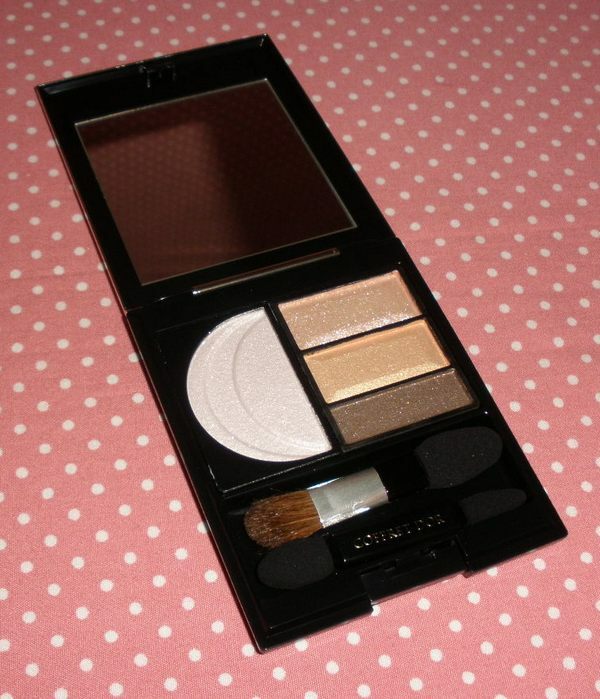 The 2nd part is the Beauty Curve collection featuring new eyeshadow palettes, lipsticks and blushes. Naturally the 2nd part of the collection is the more interesting one for me. The Beauty C Curve Eyes range features quite a departure from Coffret D´or´s older palettes. The cases are now way slimmer and there is no rhinestone-encrusted ornament on the palettes anymore. 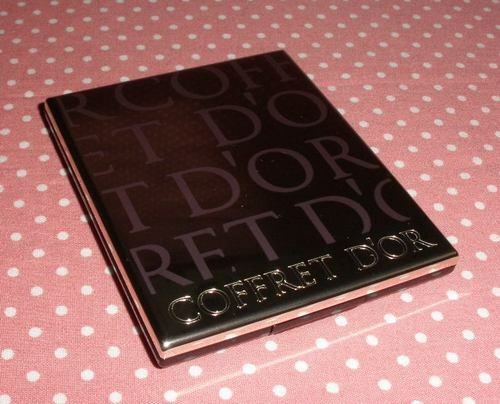 Coffret D´or is printed all over the smooth silver surface now which makes it look somehow more boring but also more elegant than the older style. 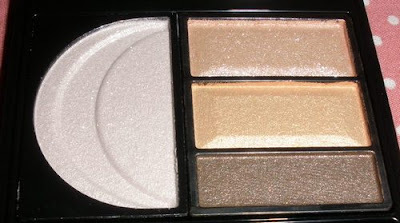 The Beauty C Curve Eyes emphasize on highlighting the eyes with soft shimmery colors and also to bring out your cheek-bones with the bigger eye/face highlighter included in the palette. I was a bit disappointed with the color selection which doesn´t appeal to me really. The colors are all on the muddy boring side...there is no pretty purple palette and the brown and green one are too muddy/warm for my liking. The blue is totally out of my personal taste so only the peach one (04) looked like it would work for me. All colors are powders with a very finely milled silky texture. 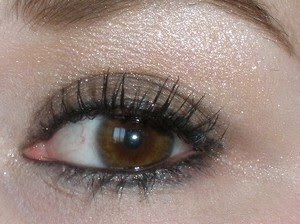 The shadows are sheer and shimmery and give a pretty glistening finish to the eyes. I honestly feel there is nothing that special or outstanding about these eye color palettes as sheer shimmery peaches and browns are so common among Japanese (and other) brands but the glistening finish is gorgeous (sort of like glazed). The colors of palette 04 are a neutral-wram brown, a glistening rosy peach and a peachy beige color. My fave is the rosy color! It makes a great wash to use all over the eye. 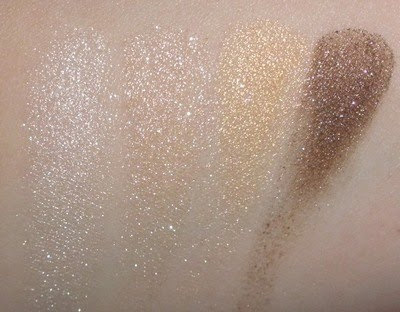 The big white color is to be used as an eyeshadow and face highlighter, too. For me it´s a tad bit shimmery to use on my face though so I´d only apply it there in the evening. All in all a good purchase if any of the colors catches your eye, you like an elegant subtle (color-wise) yet very glimmering set of colors to play with and you don´t have similar colors in your stash. Otherwise it´s not a must to get them in my opinion. As I read on Rouge Deluxe there will be 2 limited fall palettes. At least one looks like taupey goodness which I will most definitely pick up! 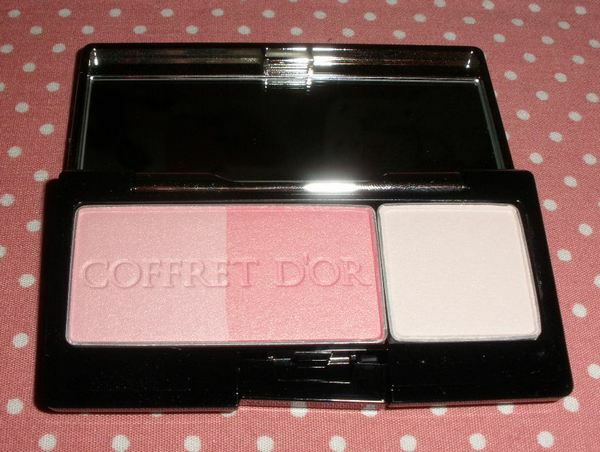 Along with the palettes and new lipsticks Coffret D´or also released new blushes in 3 color variations. It´s common among Japanese brands to only have like 2 or 3 blushes in their lineup, usually a soft pink, orange/peach and natural reddish-toned beige one. Since the lipstick colors all tend to be on the soft side I find that those colors work with nearly any blush color and I prefer soft blushes anyway. 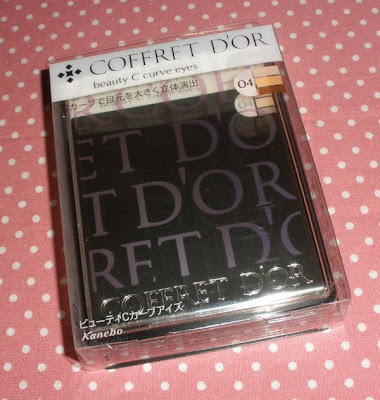 If you like bright or unusual colors then most Japanese brands will probably bore you. 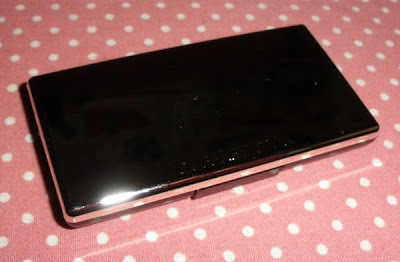 The Dual Beauty Blush is very small and thin so it´s a perfect pick to take on my upcoming trip to Egypt. 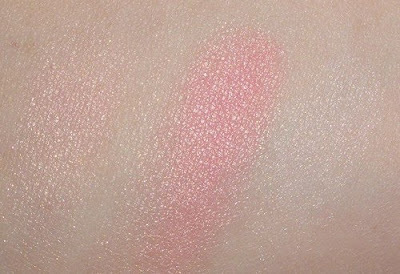 The small blush comes with 2 blush colors and a soft highlighter which is the perfect combo for me (I always use blush and highlighter on my face but rarely any type of shading color). 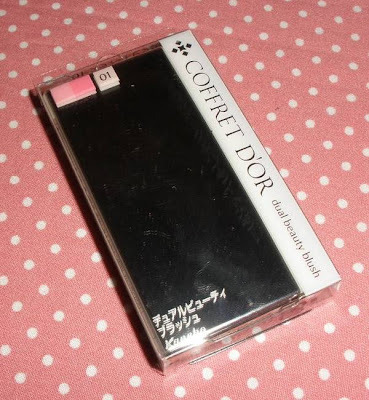 I was happy to see the blush comes with the case already as the blush singles from Coffret D´or´s predecessor T´estimo came only in a flimsy clear platic case so one had to purchase the case in addition. The new blushes are very silky and soft with a softly shimmery finish. They are on the sheer side but a few swipes give me the flush of color I love. Overall a lovely product and worth purchasing unless you want a matte and/or pigmented blusher. 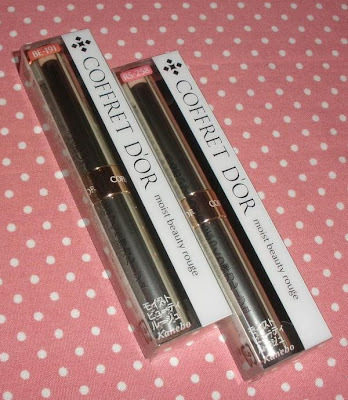 I think you can never go wrong with a lipstick from Coffret D´or. They always have a smooth comfortable formula and come in gorgeous natural colors. There are 2 new types out for the summer but I skipped the Gloss Coat Sticks as they looked a bit too sheer and candy-colored for my taste (still I am pretty sure they are probably lovely lipsticks!). The Moist Beauty Rouges come in very pretty slim small tubes and contain only 2.1g of product. 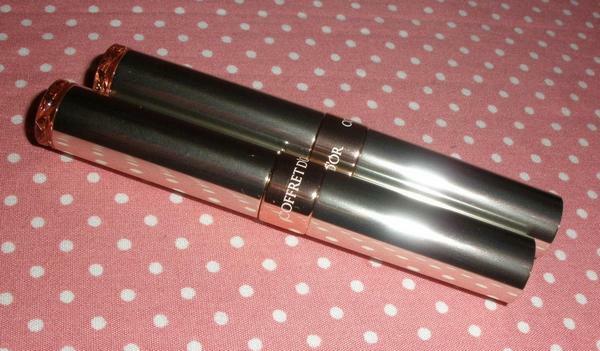 That´s about half of a normal lipstick so these lippies are pretty steep. 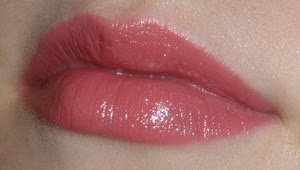 The Moist Beauty Rouges I got are quite pigmented and show up very well. 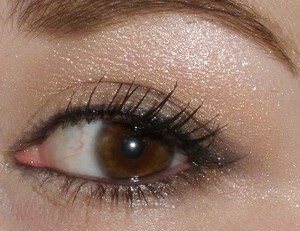 The finish of the 2 colors I got is truly lovely, a sort of a silky shimmery look. These lipsticks wear extremely comfortably with a moist and rich feel and the lasting power is decent for such creamy lipsticks (about 3 hours for me if I don´t eat or drink). 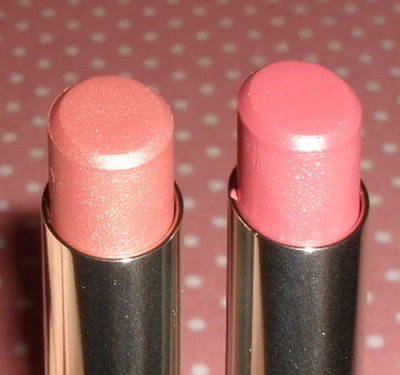 The colors I got are BE-191 (a pinkish peachy beige) and RS-258 (a gorgeous natural rose pink). I got all these products from Adambeauty as he is as always the cheapest place to get them. The eyeshadow palette cost about US$35 whereas the lipsticks and blush were US$28/each. 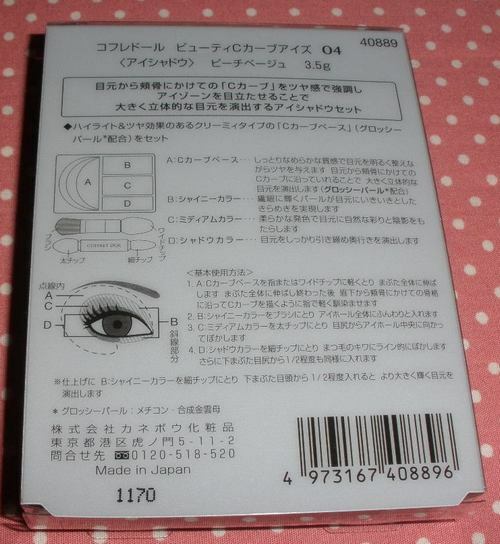 I believe that´s even below the retail price in Japan but includes shipping already. wow those look awesome! thanks for the swatches! 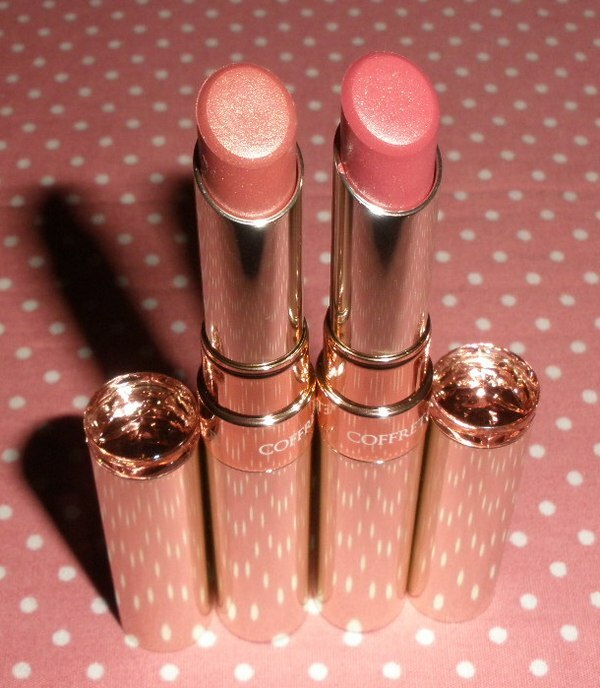 I love this collection, the blush is so pretty! The blush looks so pretty! Hm, it looks more pink in the pan, but the swatches look more like peachy pink. So, what is more accurate?